A creative addition to block building as children incorporate arches and tunnels in their block play cities to create new and exciting structures. Set of 10 includes 2 tunnels and 8 arches. Rounded edges and sanded smooth surfaces made of Birch Plywood. 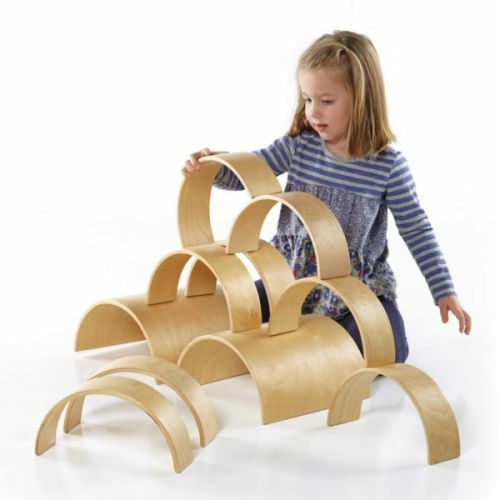 Refines motor skills, spatial sequencing and imaginative play. Ages 3+. 11″W x 2.75″D x 5.5″L.